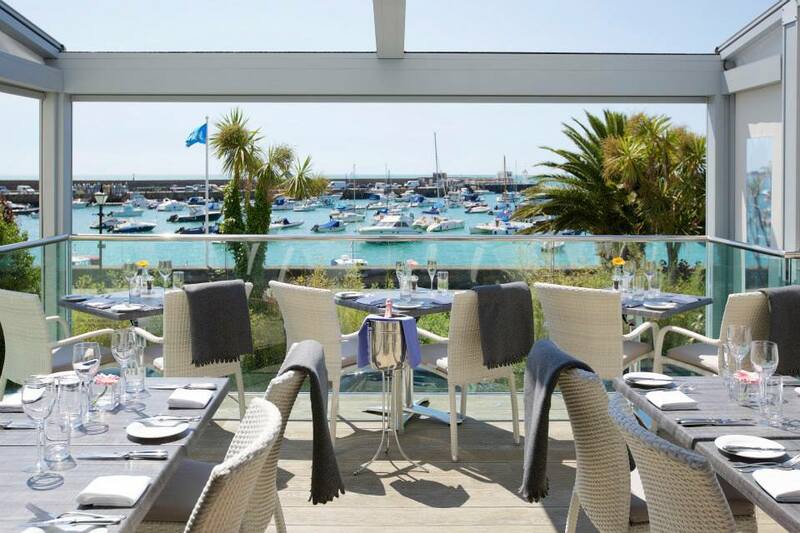 Located in the picturesque harbour of Gorey on the East coast of the Island, Sumas has been a firm favourite with locals and tourists alike since 1997. With fantastic views, and friendly and efficient service, Sumas offers casual fine dining in a relaxed and contemporary atmosphere. Its ever changing menu's focus on Fresh, local and seasonal produce and have been recognised buy food guides and critics around Europe for many years. Fabulous lunch on the balcony on Monday. Paul and the team looked after us brilliantly and the food and wine were excellent. Sumas is always a pleasure. The menu changes frequently, the service is subtle and friendly and the food is consistently good and tasty. Great service and food! Will definitely be back, the staff were very accommodating and welcoming. Lovely breakfast with great service and value for money! Amazing meal, with excellent service. Wonderful lunch, great location, food and service! Would highly recommend. Excellent food and wonderful service. Very impressive. Always great service and fantastic food in a lovely environment. Thank you. We were sat on the balcony, once food was served there was no further table service. At one point I had to go find a waiter to get some additional jam and butter. We weren’t offered a drinks menu when ordering however Buck’s Fizz was offered verbally, we went for straight Prosecco by glass but was disappointing to find out that a glass of Prosecco was £10 once we got the bill. Great location shame our visit wasn't in the summer to enjoy sitting outside. Food interesting and well presented. Would welcome more fish / vegetarian choice on menu but dishes we chose were excellent. Look forward to returning. One of the best restaurants in Jersey. Better than some restaurants with a Michelin star. With great views across the harbour. Amazing breakfast on Mother’s Day. We had a lovely evening, the service was fantastic and the food delicious. Excellent service, great food and lovely views! Fantastic good great service cant wait to come back!!!! Excellent service with very flavoursome food but a little expensive.